MUFG began operations in Mumbai, the financial capital of India, in 1953. In 2004, we moved to Hoechst House in Mumbai's central financial hub. 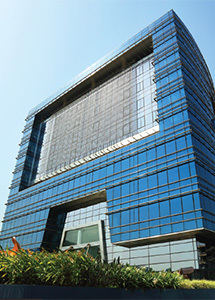 Our office in Mumbai serves as the "hub" of MUFG's operations in India. With five locations across the country, we have the largest network amongst Japanese banks in India. We cater to the banking needs of Japanese and global corporates that are establishing or growing their businesses in India.